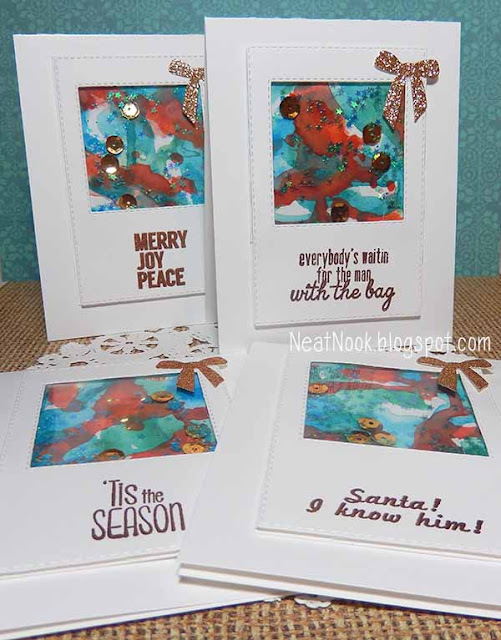 Here is a set of Christmas cards made with watercolor, embellishments and fun sentiments. These are full of texture and frame layers. The frame shaker window is filled with sequins and star confetti over a watercolor panel. I included a glitter bow die-cut along with both traditional and funny heat embossed sentiments. Supplies: Unity Stamp Co. stamps from KOM 10/2013 Oh Christmas Tree and Naughty Is The New Nice, My Creative Time and Winnie and Walter dies, watercolor paint, sequins, confetti, embossing powder and glitter paper. Here is a cozy fox woodland scene. 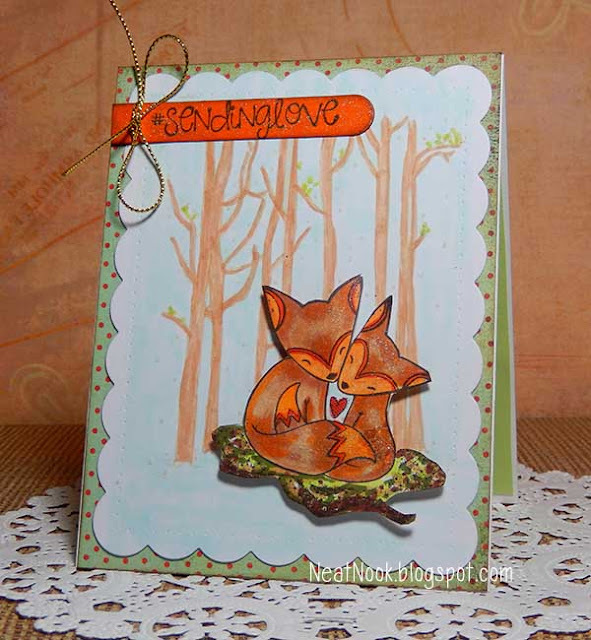 This little fox and tag sparkle with a hint of glitter using clear Wink of Stella. I think this would work for Christmas, friendship, birthday or any time for sending out love. Supplies: Unity Stamp Co. KOM 12/2014 Warmth of Winter and Hashtag Kit; Winnie & Walter dies, Wink of Stella and Copic markers. Winner of Most Wonderful Time stamp set. Thanks for all of the kind comments along the way. I will have more giveaways from time to time. Oh my gosh, these candy wraps are adorable and so fun! Gotta love that sentiment! Karen, please contact me with your mailing information within two weeks. I ship within the U.S.